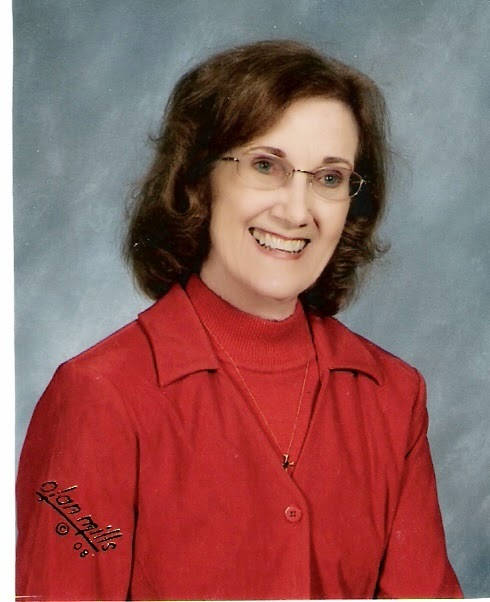 A big congratulations to wonderful author and my precious critique partner, Beverly Stowe McClure on the release of her newest middle grade book, I LIVE IN A DOGHOUSE. 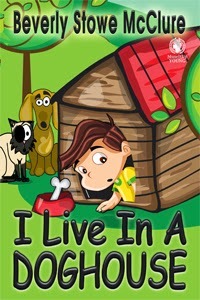 I LIVE IN A DOGHOUSE is the story of a boy's struggles to accept his new family while he longs for the old. When his father finally returns, will Nick's dreams come true? Or will he discover that memories sometimes are faulty, and it’s best to forget the past and treasure the present? Beverly, tell us what inspired I LIVE IN A DOGHOUSE. One night when I was having trouble sleeping, a little voice whispered in my ear. This happens to me a lot. I'm not crazy, though some people that are not writers might disagree. I do listen to what these voices tell me. Sometimes, though not always, it leads to a story. This kid said, "I live in a doghouse." Of course, I was curious, so I asked him why. He didn't tell me any more. I did nothing about it for a while, but the words stayed in my mind. What was the boy's story? I started tossing around ideas of who he was and why he might live in a doghouse. I remembered stories my mom and dad told me about my half brother, who was eleven years older than me, and who pushed me in the stroller when I was a baby. I don't know whether he was embarrassed or not. He never said, but I liked the idea, and my story started taking shape. The end result is I Live in a Doghouse for MG/Tween readers. Most of the time, you’ll find Beverly McClure in front of her computer, writing the stories little voices whisper in her ear. When she’s not writing, she takes long walks and snaps pictures of clouds, wild flowers, birds and deer. To some of her friends, she is affectionately known as the “Bug Lady” because she rescues butterflies, moths, walking sticks, and praying mantis from her cats. Hi Kai. Thanks for spotlighting my latest novel today. I would have been here sooner, but .. it's a long and boring story. If anyone has questions, I'm happy to answer them. 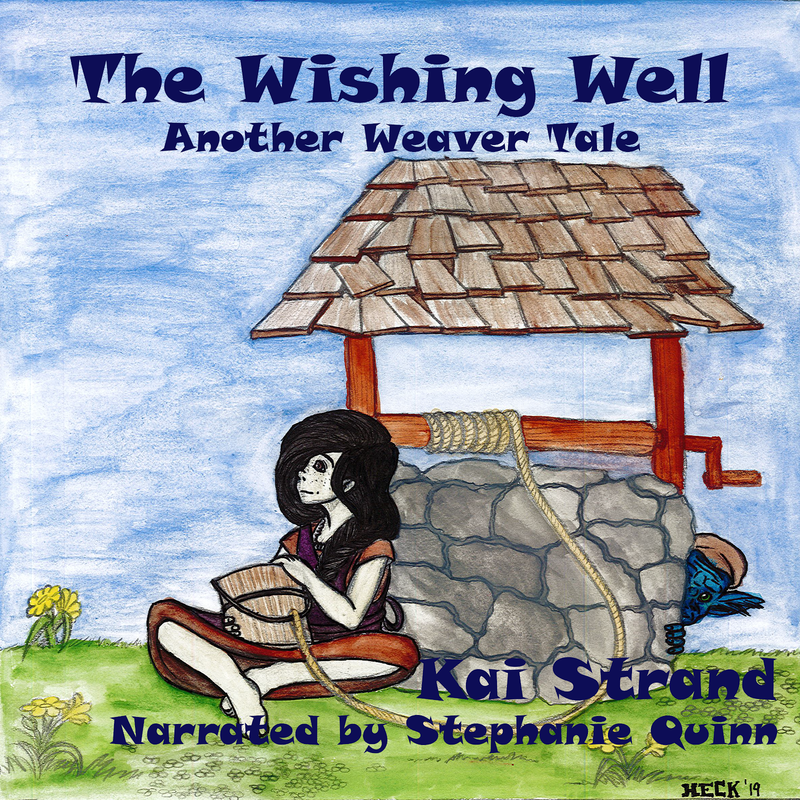 Oh, and Kai's fabulous critique helped make this story a good one. :) Have a lovely weekend. Aw, thanks for the kind words. I'm sorry you have a long and boring story to tell about your day. Best of luck on Doghouse! Great spotlight. The idea of a boy living in a doghouse is an interesting one. I just bought a Kindle copy. Yay, Medeia. I'm so glad to hear you picked up a copy. I'm sure you'll get a kick out of it.